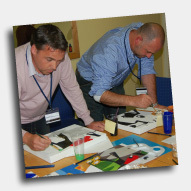 Quest are experts in providing team building, team development, business training and event management exercises and events. 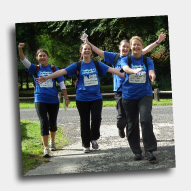 Our programmes are fun and can help develop skills for individuals and teams. Quest is recognised for working with a wide range of clients, both in the UK and across the rest of the world, to tailor team building exercises and events to their exacting requirements, regardless of their size or budget. 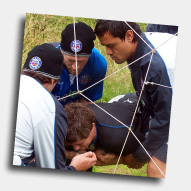 Previous clients, which include Lloyds Banking Group, Microsoft, European Space Agency and e-on, have taken part in many of our bespoke team building programmes which can include sport, TV, food or even outdoor adventure themes. 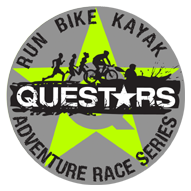 Quest has an enviable reputation for delivering exceptional team exercises and activities that combine outstanding value and meaningful work life benefits together with team challenges and enjoyment. Quest provides a variety of business training programs to facilitate the learning and development of people within a team, to help them work more effectively together and enhance their key business skills. 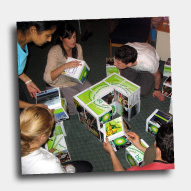 Quest is adept at combining fun team exercises and activities with traditional team development models that can be used to great effect for reflection and review of performance. Good event management demands creativity, precision and coordination. 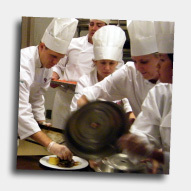 Our event management team provides this together with a vast experience of delivering specific bespoke team building events to match the brief given.